In this section you will find resources that explain what public engagement is, why it can be beneficial, key questions to consider, overall principles and others. What Is Public Engagement and Why Do It? 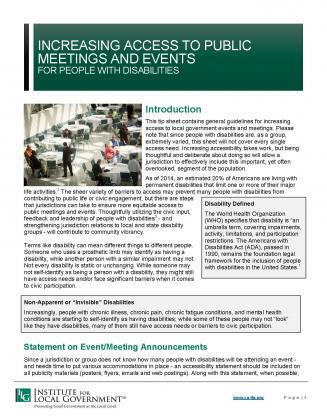 This publication has information to help local officials better understand how to get residents involved. 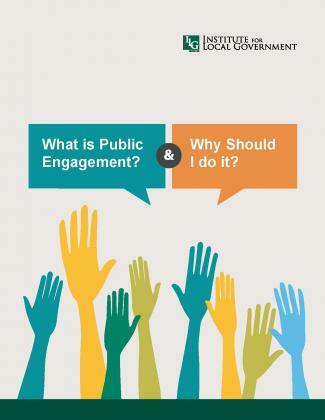 What is Public Engagement and Why Should I Do It? 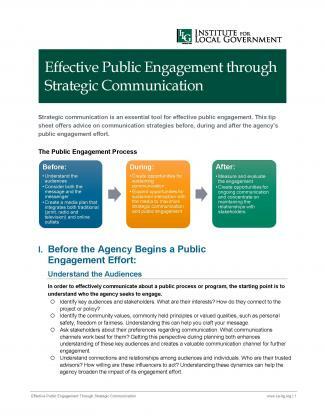 Strategic communication is an essential tool for effective public engagement. 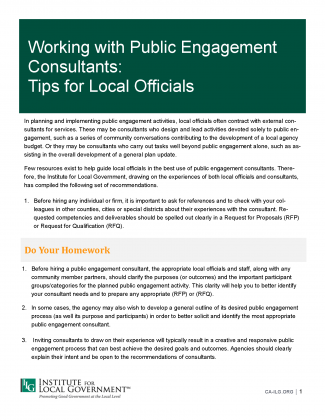 This tip sheet offers advice on communication strategies before, during and after the agency’s public engagement effort. The Institute is deeply grateful to the Met Group and the James Irvine Foundation for making this piece available to local officials. 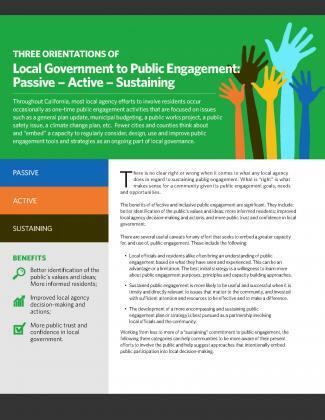 A tip sheet to help local officials and their communities consider strategies to develop and sustain a capacity for public engagement as a part of local governance. 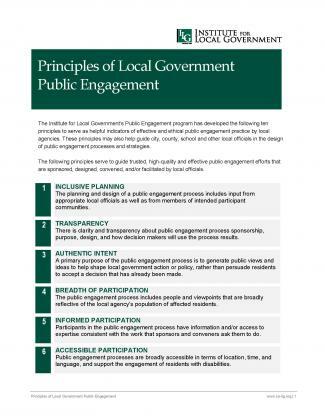 Ten principles that can serve as helpful indicators of effective and ethical public engagement practices, as well as guide city, county and other local officials in the design of public engagement processes and strategies. 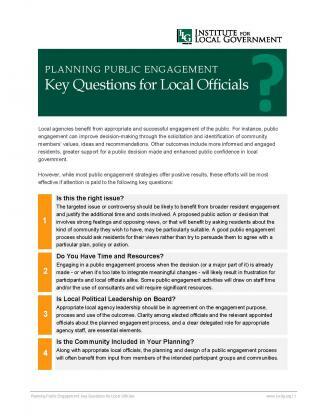 Key questions for local officials to ask to increase the appropriateness and effectiveness of their public engagement efforts.